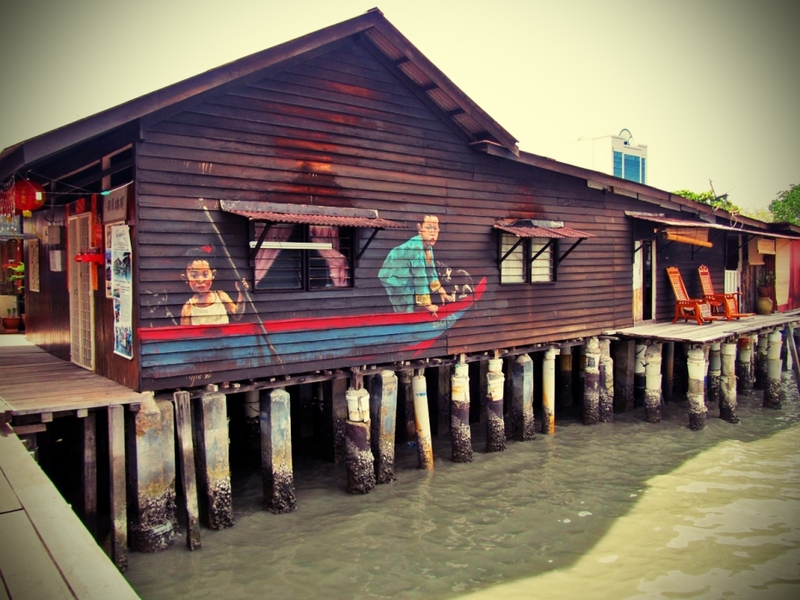 Penang Street Art (The Children of the Boat). Picture from The W Perspective: Penang blog. Penang is being brought back to life , or you could say it is reliving its unique past, by bringing the pleasant and relaxed way of life to the current, and future. The memories many have of growing up in Penang is beautifully reproduced into the now prosperous city. We can’t wait to see more works sprout about around the island; and we really hope vandalism of these works can be avoided (it has been reported that some works have already been vandalised). Thank you, The W Perspective, for sharing the beauty of the Pearl of the Orient, and giving it the great representation and recognition it deserves. Posted on August 26, 2012 by ChalkandRaddyPosted in Visual ArtTagged Penang, Street at.